Our butterfly weeds were started in pots by seeding during the 2017 spring. After an unsuccessful year with no flowers and weak growth, the plants were transplanted to the ground during the fall. This year, the butterfly weeds are growing tall, they look healthy, and are producing lots of flower bulbs. Either it takes two years for a butterfly seeding to produce flowers, or our first attempt was not handled appropriately. 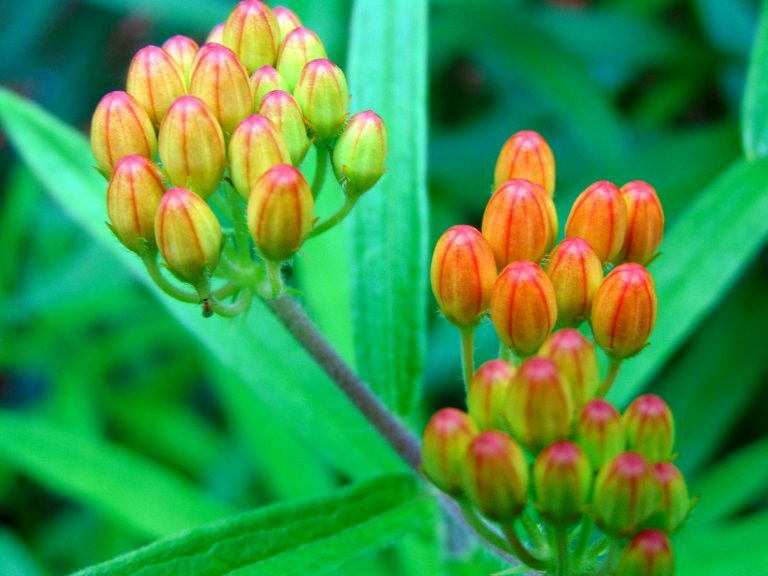 One thing to keep in mind before deciding to plant butterfly weed in your garden is that these plants attract pests, but they also feed and attract monarch butterflies. Read more about our flower plants.